Designed for larger loads – up to 18 lb - we are now introducing our brand new video head VH-60 to our product line. It features fluid-like motion without the drawbacks of Fluid Damped Heads. 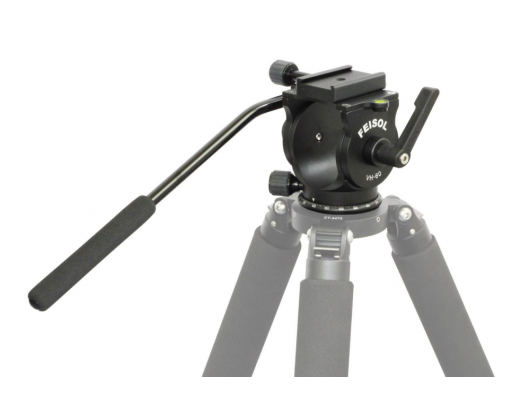 Carrying on the FEISOL tradition of innovation and uncompromising lightweight quality, all metal parts of this video head have been CNC precision-milled and manufactured to our exacting standards. All screws are made of stainless steel to ensure long lasting performance and satisfaction. 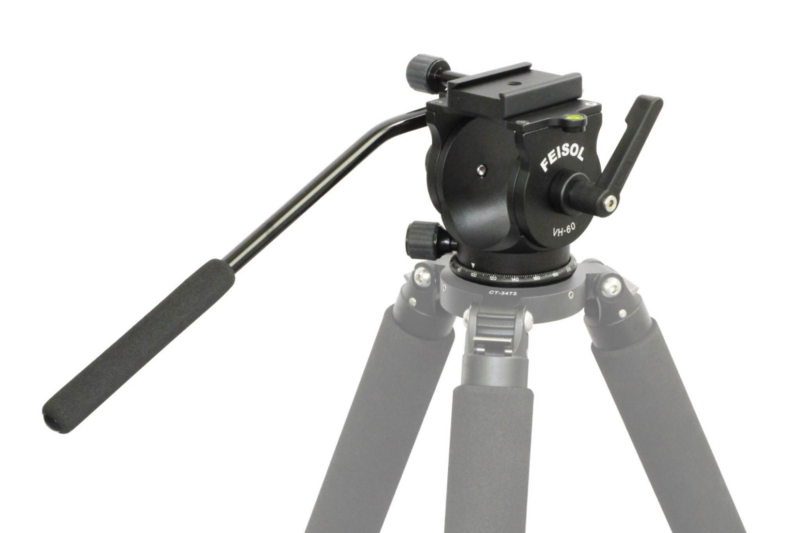 A large (100mm) quick release clamp is integrated into the VH-40 head (one 100mm QP-1447100 plate is included), assuring a precise fit of all FEISOL quick release plates (as well as plates of many other makes).